The “freshman class” of lawmakers currently convening in Annapolis for their first full week in this year’s General Assembly, includes more women (31) than men (29) for the first time in history. Those surging numbers of newly elected female representatives mean a record 72 women will serve in the 188-member state legislature this session. 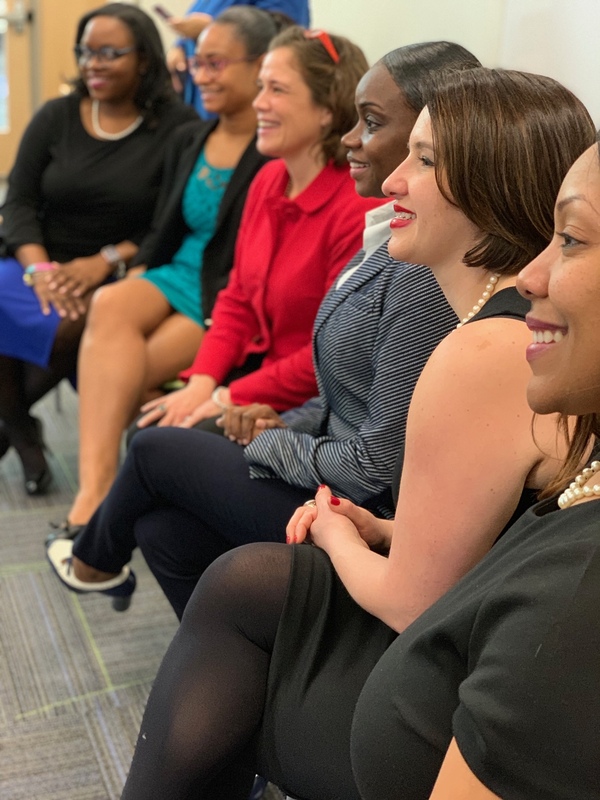 Specifically, 11 of those rookie legislators are alumnae of Emerge Maryland, an increasingly successful nonprofit that identifies and trains Democratic women seeking political office. Since its founding in 2012 and the launch of its first class in 2013, Emerge Maryland has trained 103 women to run for public office. So far, more than 70 percent of those who have participated in the 75-hour, four-to-six-month program have run for elected office—with more than 60 percent winning their various races. Officeholders include not just state representatives, but county and city council, school board, and Democratic state committee members. With key support from Mikulski, the nonprofit got off the ground under the umbrella of Emerge America, which now has affiliated chapters in 25 states. Baltimore City elected leaders with Emerge Maryland training include City Council member Shannon Sneed, who won in 2016; state Del. Brooke Lierman, who was in Emerge Maryland’s inaugural class and won office in 2014; and state Del. Robbyn Lewis and state Del. Stephanie Smith, both of whom won election for the first time this past November. Overall, 19 of 25 Emerge Maryland alumnae won in November, including the first black women and the first Chinese immigrant elected to the General Assembly from Montgomery County, as well as the first woman ever elected as State’s Attorney in Anne Arundel County. Thirty-year-old Sarah Elfreth from Anne Arundel County became the youngest woman elected to the State Senate this fall. A pair of Emerge Maryland alumnae also flipped seats from male to female in the Anne Arundel County Council this fall and that seven-member body is now 5-2 majority female. Emerge Maryland alumna Shaneka Henson was previously elected to the Annapolis City Council in 2017. The overall impact: Anne Arundel County is decidedly more female and a little bluer. With a growing track record and budding network, Emerge Maryland announced a cohort of 20 women in its class of 2019, including five women from Baltimore City who successfully navigated the competitive application process. The new legislators in Maryland are part of a rising national tide of women who have been inspired to run for office by a desire to improve their communities, but also by the last presidential election. During the previous election cycle in 2016, 920 potential female candidates contacted Emily’s List, a group that backs Democratic women who support abortion rights, spokeswoman Lindsay Crete told The Washington Post. Two years later, in large part as a reaction to the election of President Trump, that figure rose more than 40-fold, to 42,000, according to Crete. Emerge Maryland’s 20 new class members are: Shruti Bhatnagar, Laurie Brittingham, Katina Burley, Rose Greene Colby, Tamira Dunn, Remi Duyile, Cornett Fenn, Cynthia Cotte Griffiths, Natasha Guynes, Ebony Johnson, Kimberlee Lena Kennedy, Stacy Korbelak, Mikkyo McDaniel, Yvette Monroe, Andreana Overton, Odette Ramos, Tori Rose, Shirley Schreffler, Ainy Haider-Shah, and Sarah Wolek. Don’t be surprised if you hear those names again.